What's in your Travel Cubelet? Thread: What's in your Travel Cubelet? 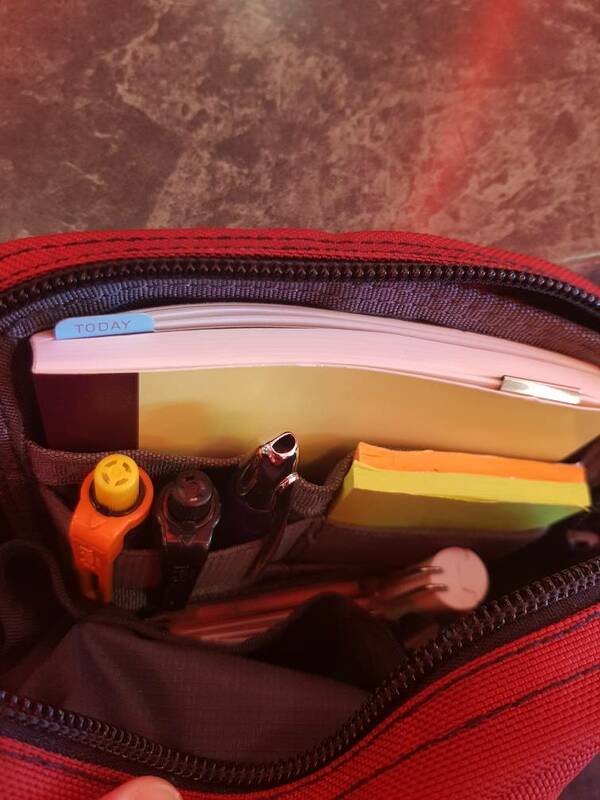 Wallet, pen, lip balm, and its own strap. It's being used as an internal organizer for my MB. When I need to go minimal, I pull it out, attach my keys to one of the o-rings, install the shoulder strap, drop in my phone, and I'm ready. I backed a kickstarter awhile for a super-skinny wallet made of Tyvek, and it'll slip inside much more easily than my old clunky wallet does - which doesn't slip in easily, though it does fit. And if after it arrives, I don't like it, I'll add a TB wallet and mini Q-kit instead. Last edited by CathyWeeks; 06-18-2018 at 07:52 AM. Oh, I'm hopeless. After buying and selling several travel cubelets because I didn't like the dark interior or the outside color, I succumbed to buying a Dawn TC with the newer violet interior before Dawn disappears. I hope I like it when it comes. I really want something in Dawn. I just placed my 3rd order in about a month and included a Dawn TC as well! 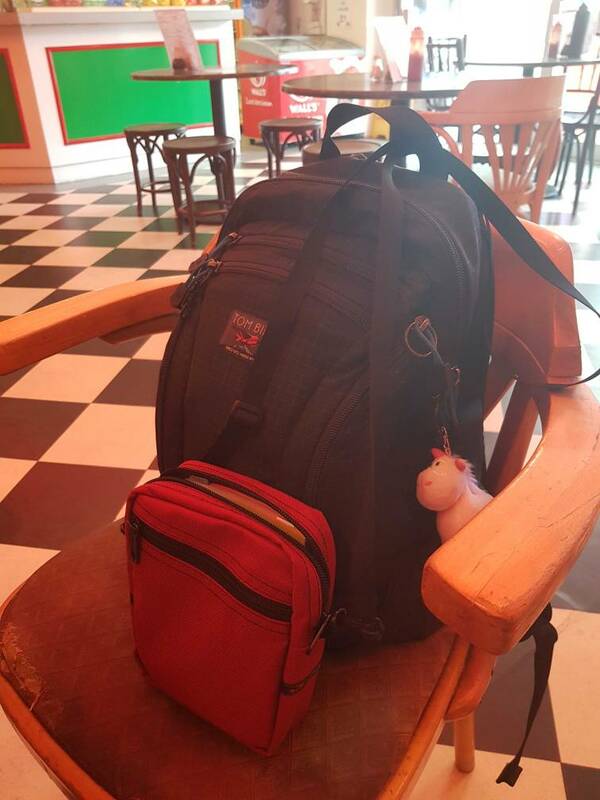 I think it’ll be perfect for holding the few essentials needed throughout the day. Mine is my purse. It holds Organizer Wallet, mini organizer pouch (pillbox, AirPods, small spool of duct tape, nail file, spare earrings, and iPhone charging cable), lip balm, lipsticks, compact mirror, stylus/pen, hand sanitizer, small organizer pouch (with backup charger, gift cards, tissues, etc. ), and cellphone. 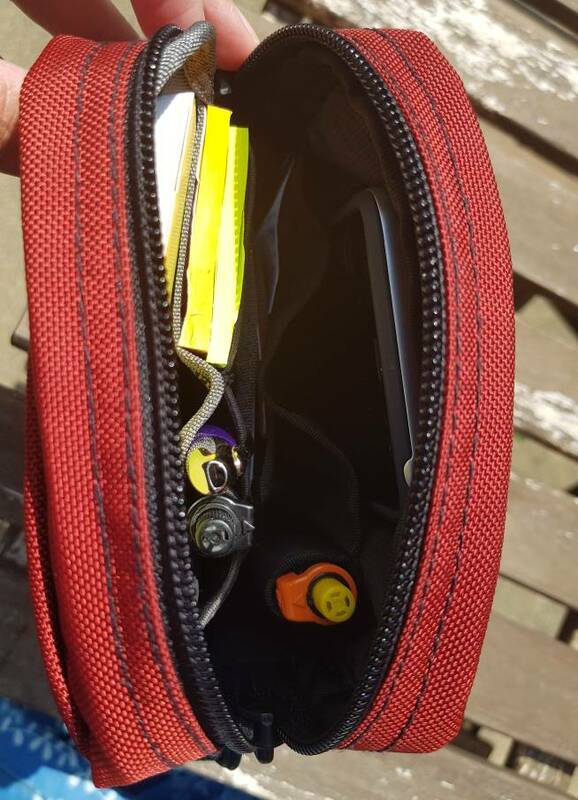 In the outside pocket is a key strap with my keys. This makes me want to snap a picture of it all. S19, Pilot, S25, SE, NFTD, SCB, LCB, LS- in that order, all in Halcyon. Newest: Brain Bag. Oh, and some Shop Bags and Travel Cubelets. And some pouches. And a couple of Organizer Wallets. And a SSK. And some stuff sacks. And a laundry sack. But I'm not hooked on TB. Oh this is PERFECT! 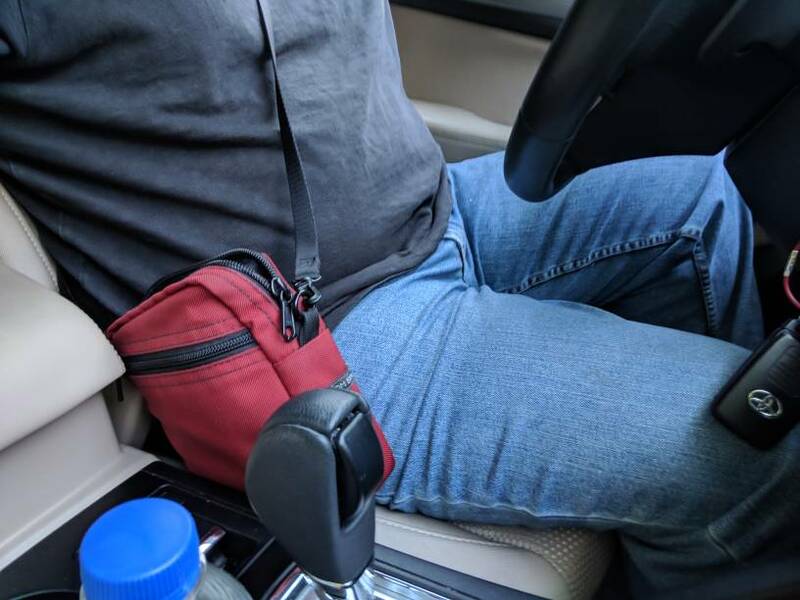 With the pouch and the notebook, do you think there's enough room leftover for an iPhone? I have a 6S. With the pouch on the 'blank' side of the Cubelet, I could still use the pockets to carry my phone and another pen. 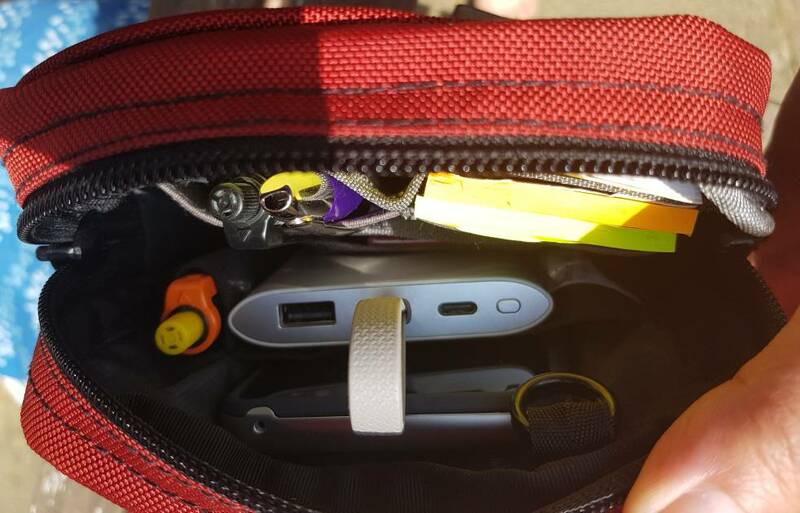 I could also carry a thin battery pack. I've attached a couple of photos: the phone is a Galaxy S8 but my Galaxy Note 8 fits too (I was just using it to take the photo ). The battery pack is a Samsung one. Last edited by sujo; 07-14-2018 at 08:33 AM. 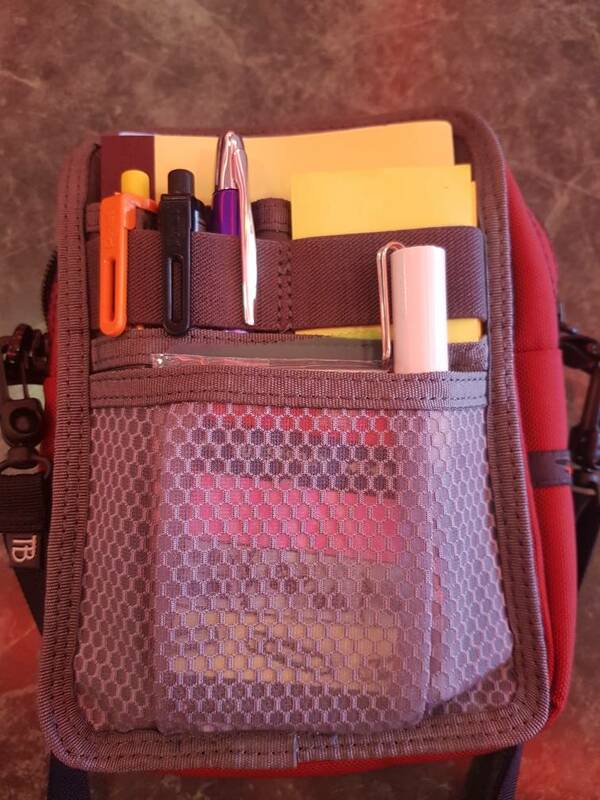 @Talkshop90- is that organizer pouch Aether fabric? I am impressed! Minimalism perfected. I think. It’s similar if not. Wish TB had a little guy like that. I’d get one in every color! +1, that is my favorite size OP.